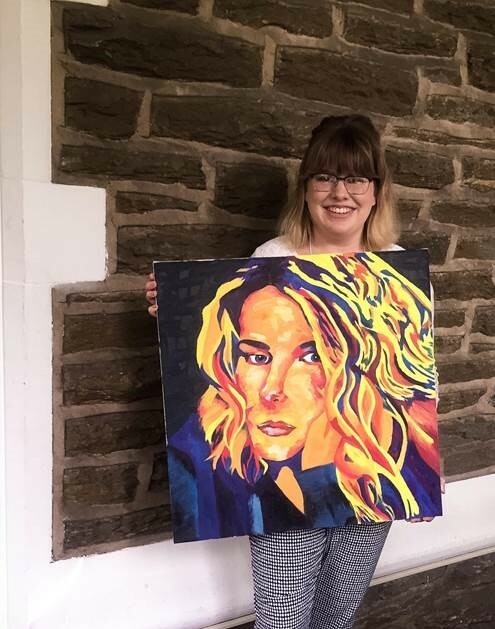 Samantha Locklear, a senior English major, presented an original artwork entitled “Haecceity” at a National Undergraduate Conference on Body Image at Cabrini University in September. Haecceity derives from the Latin word “haecceitas” which loosely translates to "thisness." Samantha notes that the term “refers to the essence or qualities of an object that makes it different from everything else.” It is a term coined by Franciscan philosopher, John Duns Scotus. A resident of Aston, Samantha plans to work in publishing after graduation and pursue a master's degree.